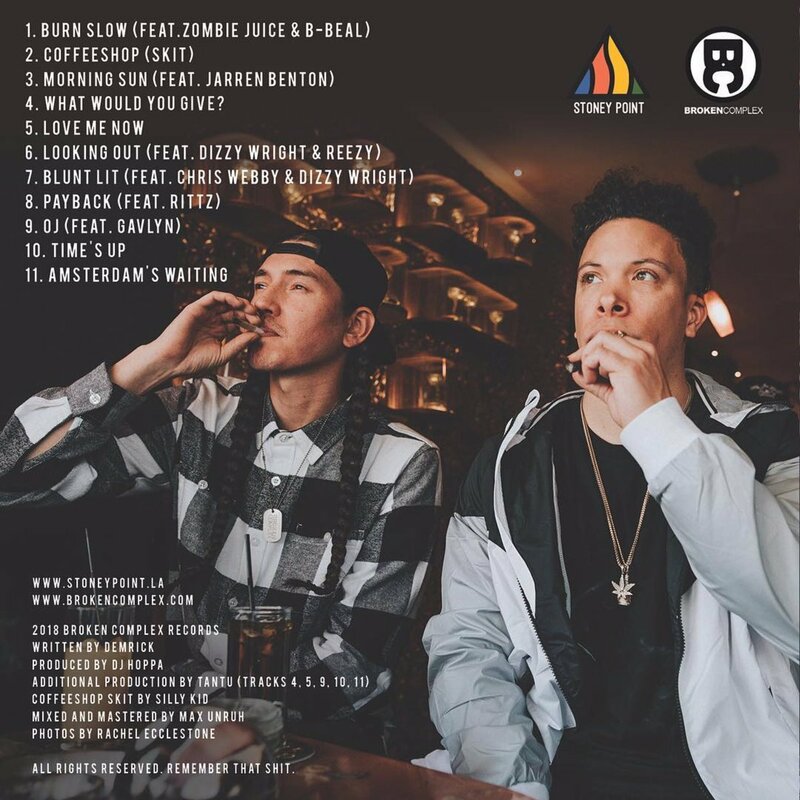 Radio420™: Demrick and DJ Hoppa Releasing “Stoney Point 2” October, 19th! New Single “Burn Slow” Out Now! Demrick and DJ Hoppa Releasing “Stoney Point 2” October, 19th! New Single “Burn Slow” Out Now! All the Marijuana enthusiasts around globe are rejoicing at the hip-hop fact that California underground pioneer Demrick and former Funk Volume DJ, DJ Hoppa will be teaming up again for another “Stoney Point” release! That’s right! Stoney Point 2 (Follow up to 2015’s Stoney Point) will be dropping Friday, October, 19th! The first single for “Stoney Point 2″ titled “Burn Slow” just dropped and features B-Real of Cypress Hill and Zombie Juice. So what are you waiting for!? Get your smoke on and bump “Burn Slow” on full blast till your personal headphones explode due to stoner hip-hop musical greatness!